A good number of gas stations are closed. As a result open stations have long lines extending more than a block sometimes. In another gas station on the same avenue there was a line stretching more than a block. 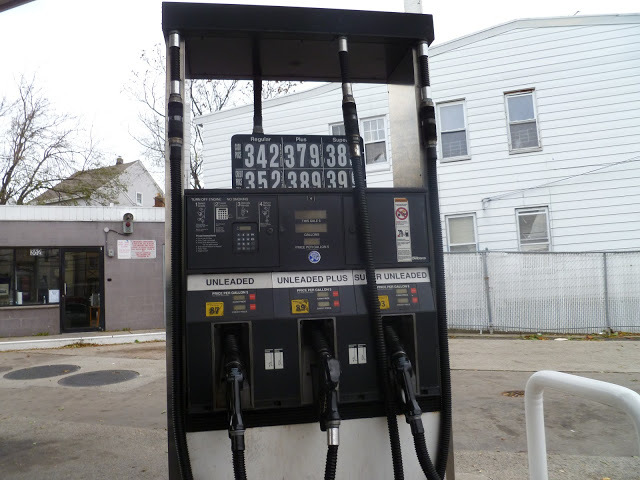 Gas prices are expected to increase in the next few days, mainly due to the number of refineries located in east coast that have stopped refining, but afterwards they will return to pre-storm amounts.